Pick up 20 fat quarters and hurry home to sew! Two quick and easy quilts in several sizes. 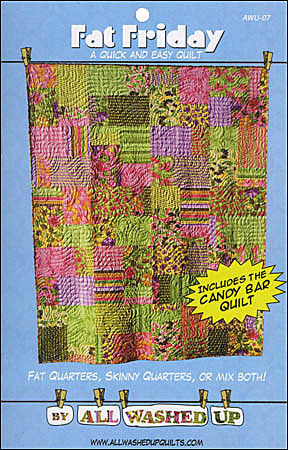 No borders, and uses fat quarter, skinny quarters or a mix. Cover Quilt 64in x 80in. Additional sizes 80in x 80in, 96in x 96in, 112in x 112in.